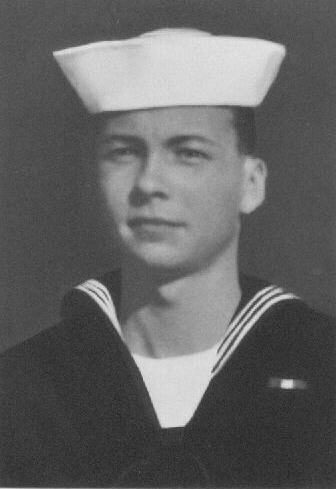 CT2 Lawrence Hayden was killed in Action while serving in USS LIBERTY (AGTR-5). He was 20 years and eight days old at the time of his death. Today, he would have been 69 years old. We called him Larry. My brother was adopted at birth by my parents while they were living in Houston, Texas. June 16, 1947 was an odd day for my parents. My mother was a patient in the hospital where a baby was born and thirty minutes after delivery, Mom was holding the baby in her arms. The baby was named Larry, and that’s how it all started. He was special from the day Mom and Dad first saw him. They had tried to have children of their own for many years and finally applied for adoption. It took quite a long time and lots of frustration on their part to qualify because they were so young. My Mom and Dad are two of the most determined people I know, so it was inevitable that the adoption go through for them. From the time Larry was about seven or eight years old, he showed a great deal of interest in entertaining. He loved magic and was performing fairly sophisticated tricks for birthday parties and, of course, for anyone else in the neighborhood who would sit still for the show. As time went on, he really excelled in his love of magic. In high school, he developed certain skills. He became an incredible public speaker, a master of debate, a thespian and a “for profit” performer in and around the Houston area. He was very active in our church and served as president of the youth group. Through his connections there, he met other fledgling actors. At this point, Larry had already acted in several plays at different theaters in Houston as well as in school plays. He performed in Life With Father, Richard III, Snow White, Bye Bye Birdie and The Boyfriend. And he performed magic at such clubs as The Top Of The Mark. Larry did many benefits, too, for orphanages and for the underprivileged. By the time he graduated high school, he had a job as a radio announcer on a major FM Station in Houston, KQED. Larry was certainly a special person. He came to us one day and nineteen years later, he left, and never came home. He left behind his parents, two sisters and a brother…and many aunts, uncles, cousins and grandparents. Plus, he left behind, his girlfriend, Patty Ball. Larry was actually proud of the fact that he was adopted and had known of this most of his life. He never seemed interested in locating his birth parents. He said that we were his family and that was more than enough for him. 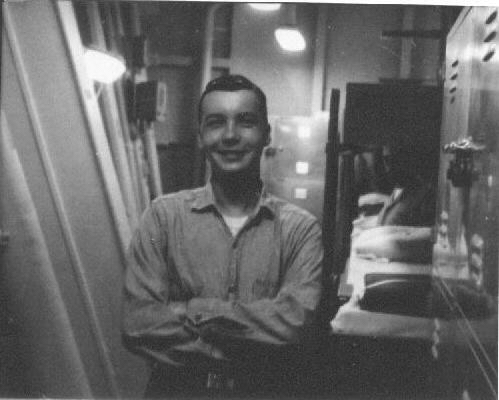 By the time he had gone into the navy, he had established friendships with the likes of Walter Cronkite and others who recognized his many talents. Larry’s life was a life of such promise. He lived every day to its fullest and had dreams like most nineteen year olds have. His accomplishments were many, but his main one was managing to grow up with his siblings. We always invaded his privacy…stealing rare coins from his collection to buy hamburgers and milk shakes…trying to get into his magic tricks to see how they were done…playing his records and leaving a few unwanted scratches….and just aggravating him in general ways. Somehow, he did it all with a great deal of grace. Larry was truly the light in my parents’ eyes…but that light burned out for many years after his death. We still remember him every day in some way and there are times we feel his presence even now. It’s very hard to talk about Larry without some emotion. Pure data would not have done him justice and from the text of this letter, you might well imagine that he would not have liked the fact that you had no information about him. He was definitely fond of stage lights. Good luck to you and love to all of the crew and to all of the families like ours, who have suffered such needless losses.